Corporate operational data is not readily usable for strategic decision making. These large quantities of operational data are very useful and good for running the business operations, but hardly amenable for use in making decisions about business strategies and objectives. Data warehouse is an environment where executives can find strategic information to make better decisions. InfoTelica has expertise and competence for building robust decision support environment from massive amount of corporate operational data. Enterprise data warehouse and data marts modeling. Prepare source to target mapping. Managing data warehouse projects balanced among scope, time, and budget constraints while assuring high quality in accordance with PMI (Project Management Institute) norms. DWH projects are managed by integration, scope, time, cost, quality, human resources, communication and risk management processed by initiating, executing, controlling, monitoring and closing phases. Identifying core data requirements beginning with project initiation. Identifying excellent data requirements at the appropriate level of detail. Identifying and detailing attributive, associative, subtype and super type entities. Detailing complex data related business rules. Discriminating between business data (logical data) and database design (physical data). Validating data requirements with activity requirements. 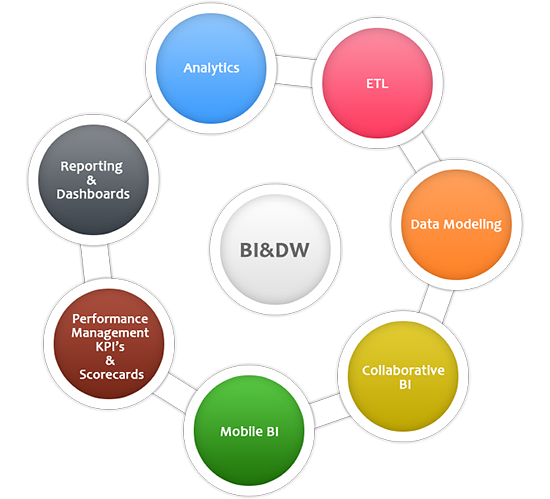 Building data warehouse architecture in accordance with customer’s requirements and source system analysis. Data modeling methodology has three phases: Conceptual, Logical, and Physical Data Models. A Conceptual Data Model is a prerequisite for a Logical Data Model, which is a prerequisite for a Physical Data Model. The physical database and table structures are based directly on the data structures outlined in the Physical Data Model. 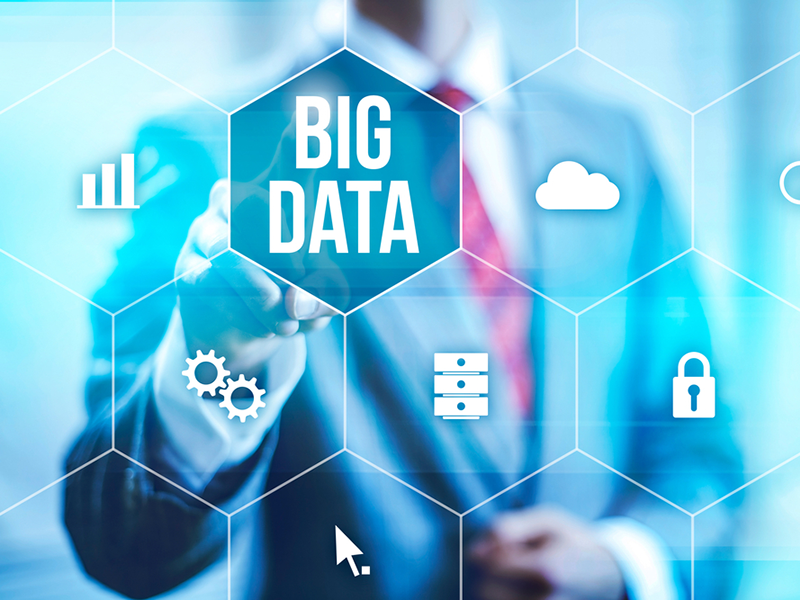 How will the enterprise be organized within the data warehouse? The Conceptual Data Model defines the subject areas and major entities. Which entities exist within each subject area? How will those entities relate to each other? The relationships extend beyond just primary key/foreign key relationships. They include Super Type, Subtype, Attribute, and Associative Entities. Databases hold the data of a data warehouse. How will that data be assigned to columns, which are inside tables that are organized into databases that collectively hold the data of a data warehouse? Though not quite the Data Definition Language (DDL) of the tables and databases, the Physical Data Model is very close to the DDL of the tables and databases. ETL is the acronym of Extract-Transform-Load. 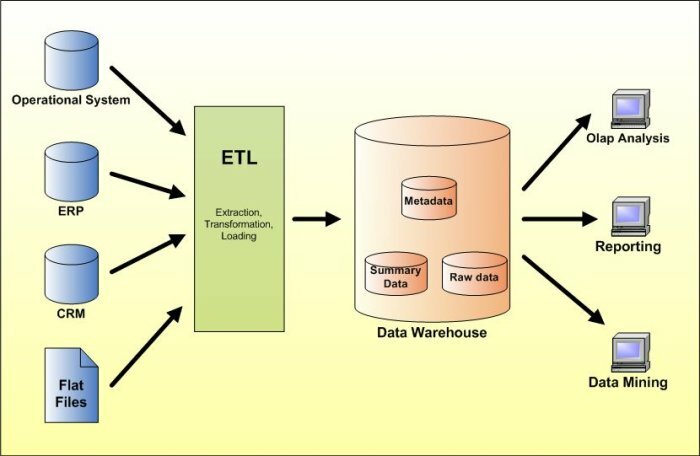 ETL has two phases: Relational Data Store and Dimensional Data Store. RDS phase is transferring source data to a staging area. DDS phase is building data marts according to reporting requirements. Data marts hold de-normalized, aggregated, historical business data that is used for reporting purposes. Building mechanism to manipulate inconsistent source data during ETL’s RDS phase. Some examples of inconsistent data are duplicate source data, source data without primary key values, data with wrong data type and so on. Building reports affecting companies’ decision-support systems by using data mart’s denormalized, historical data prepared for reporting purposes in accordance with business requirements. Speeding up prepared reports and ETL processing by making performance tuning on data warehouse OLAP database, source systems OLTP databases, ETL packages and report queries.